3CX is pleased to announce the release of Service Pack 2, build 27588.780 for 3CX Phone System 11. This service pack fixes several issues and also adds new features such as support for Windows 8, Windows Server 2012, and an all new IP Whitelist for the Anti-Hacking module. 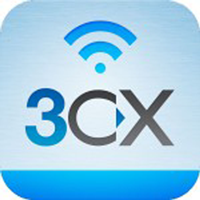 To download this update, simply login to the 3CX Windows Management Console from Start, All Programs, 3CX Phone System, Windows Management Console and navigate to the 3CX Phone System Updates node > 3CX Service Packs / Updates. Note: Users running previous Beta versions of 3CX Phone System Version 11 should not update to service pack 1 via the service pack update. For versions prior to build 26364.600, a full uninstall and re-install is required. New: Added support for Exchange Server 2013. For more information on configuring an Exchange Server 2013, review this 3CX blog post. 3CX has also created the What’s New in 3CX Phone System v11 video which discusses the latest features. This video, along with all other 3CX videos can be viewed on the 3CX Channel on YouTube. Please post any questions and comments about 3CX Phone System 11 on the 3CX Forums and join the 3CX Community on their Facebook Page. Users of 3CX Phone System 6, 7, 8, 9 and 10 are recommended to upgrade to 3CX Phone System 11.